CHATSWORTH, Ga. – The Georgia Department of Transportation (DOT) is advising motorists in Murray County of a detour off State Route (SR) 2 in at the CSX Railroad crossing in Cisco, scheduled for Monday and Tuesday, Nov.12, and 13, 2018, to accommodate work by the railroad company on upgrading the crossing. The highway at this location will be closed and traffic redirected onto Tennga Gregory Road and US 411. This railroad maintenance operation and the road closure it necessitates are weather permitting and subject to change. 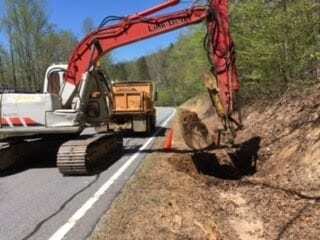 “We understand that the closure of Highway 2 at this location may cause some inconvenience and delays, but it is necessary for repairing the crossing as quickly as possible, and giving the roadway back to the traveling public,” explained Grant Waldrop, district engineer at the Georgia DOT office in Cartersville. For real-time information about statewide road conditions, know before you go. Before getting into your car – call 511 or visit 511ga.org, where you can access statewide, route-specific information on crashes, road work, traffic and weather. Callers can transfer to operators to report incidents or request assistance on interstate or state routes across Georgia. The system can be also be used to access transit providers, major airports, rideshare organizations, tourism information and 511 systems in surrounding states. For information on the Department of Transportation, visit http://www.dot.ga.gov. CHATSWORTH, Ga. – As part of its integrated roadside vegetation management program, Georgia Department of Transportation (DOT) routine maintenance crews begin this morning their work on trimming overgrown vegetation along state Route (SR) 286 in Murray County. 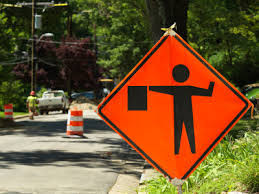 Work will proceed daily Tuesday through Friday between the hours of 7:30 a.m. and 5:30 p.m., weather permitting. 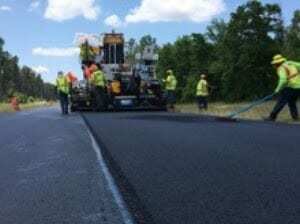 Chatsworth, Ga. – Georgia DOT advises motorists on State Route (SR) 52 in Murray County that a maintenance crew continues today its work on repairing and deep patching the deteriorating asphalt spots on this highway. Work will proceed daily Tuesday through Friday from 7:30 a.m. until 5:30 p.m. This maintenance operation and the temporary lane closure it necessitates are weather permitting and subject to change.